Censoring 2020 Has Already Begun As Big Tech "Pulls Out All The Stops" To Prevent Independent Media From Countering The "Official Narrative"
As more and more Democrats throw their hat in the ring, already announcing they'll be running for president in 2020, big tech has begun to pull out all the stops to prevent Independent Media (IM) from bypassing the mainstream media narrative by not only limiting the reach of IM articles and video reporting, but actively hiding reports that do not conform to their narrative, while Microsoft is attempting to blacklist entire websites, such as Drudge and Breitbart by declaring them fake news. 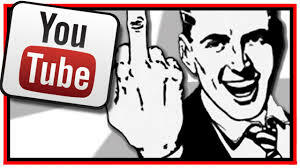 YouTube, a site made popular by videographers that questioned the official narrative, quite literally turning it into the biggest video platform on the Internet to date, although others are now becoming pretty popular given YouTube's recent censorship practices, has decided to flip the very creators that made them so big, a huge middle finger by announcing that they would be hiding content they consider to be "conspiracy." "Reducing recommendations" is code for censoring, hiding videos from users even if they are searching using specific terms. If YouTube deems the informative video to be out-of-the-box, something that questions the official narrative, AKA "conspiracy" theories, then a user will not be able to find it in the recommendations, which is supposed to pull up videos most searched for by the user to recommend content they are interested in. For example: I find natural remedies to be amazing, and far less harmful on the body than big pharma products, as we recently published a piece showing the amazing things that garlic can do for the body. In that piece Stefan Stanford quoted detailed some of those benefits, such as "Garlic possesses potent, natural antibiotic and antimicrobial properties able to protect against plague. Garlic is also high in antioxidants that destroy free radicals, supporting a strong immune system. The active ingredient in garlic, allicin, contains antibacterial, anti-fungal and anti-viral properties known to kill numerous disease-causing bacteria." The point here is YouTube, by the description above, plans to stop recommending videos that might promote the use of a natural remedy, yet they continue to promote channels such as CNN, that have been busted countless times "misinforming" viewers, as the documented cases of MSM "fake news" continues to increase with each passing week. Not only are they flipping off the very users that made them the largest video platform, but are also treating those that want to see those videos like children by preventing them from accessing exactly what they are searching for. In order to make sure you see something you want, one would have to go directly to the video channel of their favorite YouTubers and access it directly, otherwise they won't even know the videographer published something new. Breitbart and others recently reported on a new Microsoft default extension that partners with "Newsguard," to basically blacklist Independent Media and conservative websites by presenting users a red warning label, yet offers green label to websites like BuzzFeed, CNN and Media Matters, all far left liberal websites that often promotes fake news, as BuzzFeed has been embroiled in scandal for doing over this past week. 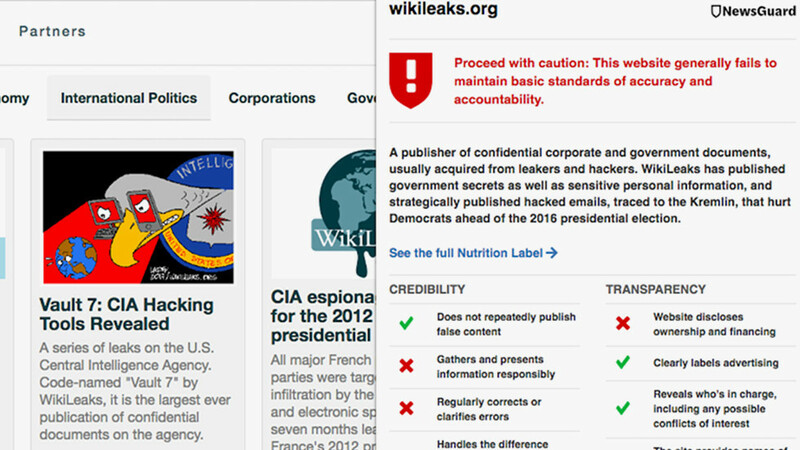 RT provides a screen shot of the red warning label seen when a user goes to Wikileaks, who in their history has never been found to have published fake news. Another form of attack against not only Independent Media websites, but against those that read those sites is Google's ongoing attempts to prevent readers from communicating with each other via the comment section. The majority of IM sites, like ANP, uses Disqus, for a variety of reasons. For ANP it is because Disqus allows guest postings if the website owners allow it in their settings. ANP has always felt that anyone should be able to share their opinion without having to register to a service if they do not wish to register. As the screen shot above, taken just this morning, shows, Google's gmail is still pushing a "suspicious link" message when the "Reply to" link is clicked to respond to a comment that was made. 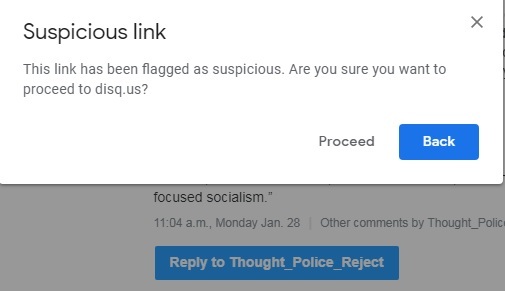 While the warning asks "Are you sure you want to proceed to disq.us," the actual link doesn't take users to the Disqus website, but takes them directly to the ANP comment section to communicate with each other. Frankly to me the attempt to prevent IM readers from communicating, and Google's Gmail has been doing this for months now, is just another way to censor news. 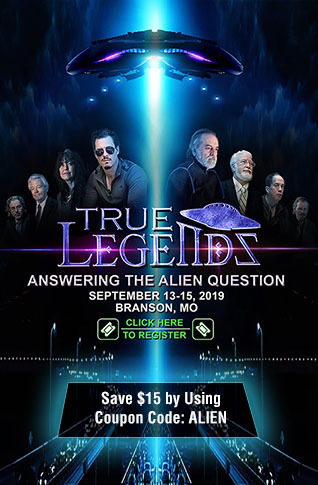 At ANP we encourage people to share other websites' reports and articles, videos, freely exchange ideas, debate and basically encourage our online family of PipeLiners to talks about anything they like without acting like "topic police," by trying to make everyone focus only on the topic of the article. These new methods being utilized by big tech, along with the ongoing social media censorship of conservatives, are all in preparation to destroy Independent Media before the next election cycle. With Facebook and Google controlling up to 80 percent of digital advertising, and the ads they do allow on IM sites are the ones that pay the least amount, yet every dollar counts when trying to keep our heads above water. Google also deliberately downranks IM websites in their search results. 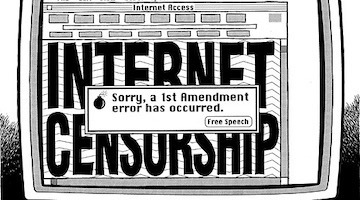 The attacks against IM websites, collectively, makes the revenue generation for Independent Media continue to spiral downwards. It is a vicious cycle, and it is getting worse as they pull out all the stops, and without the generosity of readers, sharing our articles, emailing them to friends, and generously donating as many continue to do, ANP wouldn't still be around, so we want to offer a huge THANK YOU to our readers and those that comment and donate. Below, Benn Swann joins RT to explain who is behind the creation of Newsguard, which is now blacklisting IM websites, and why.